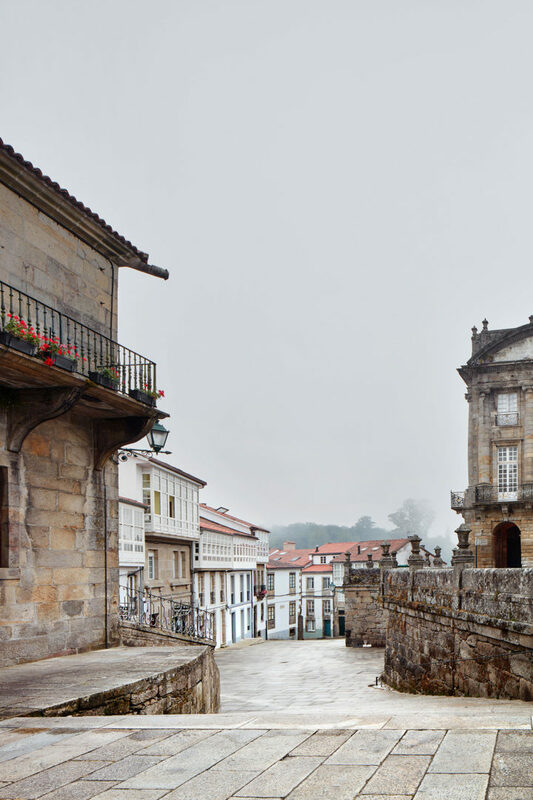 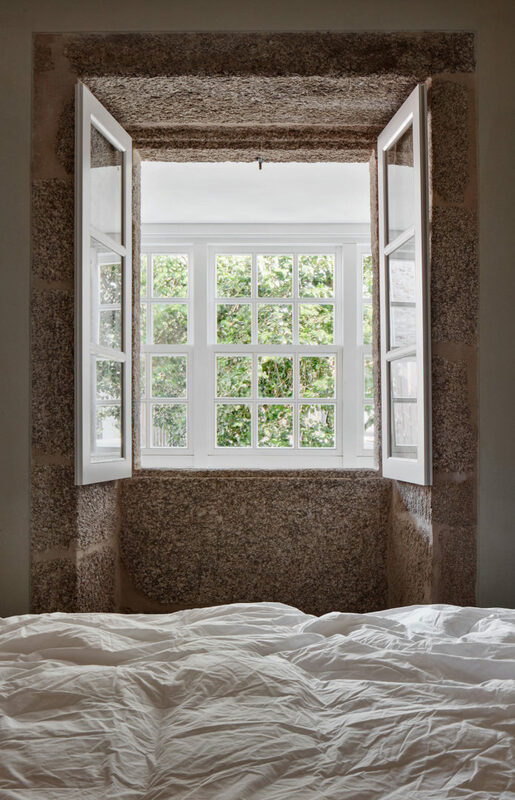 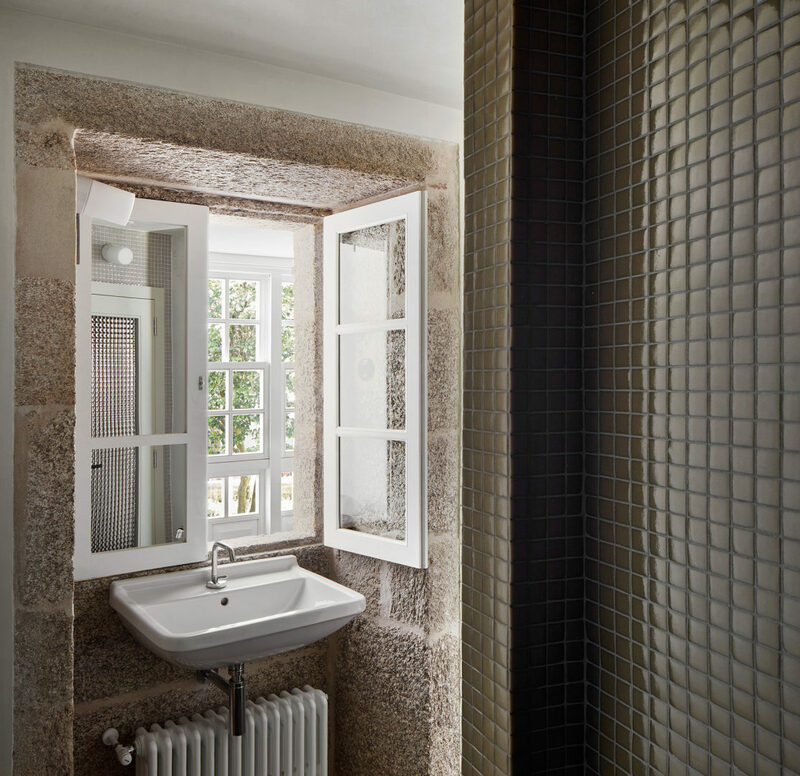 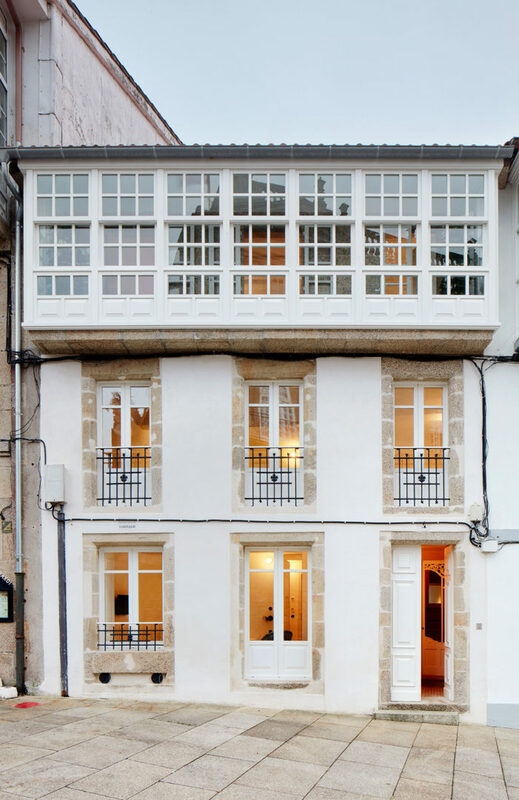 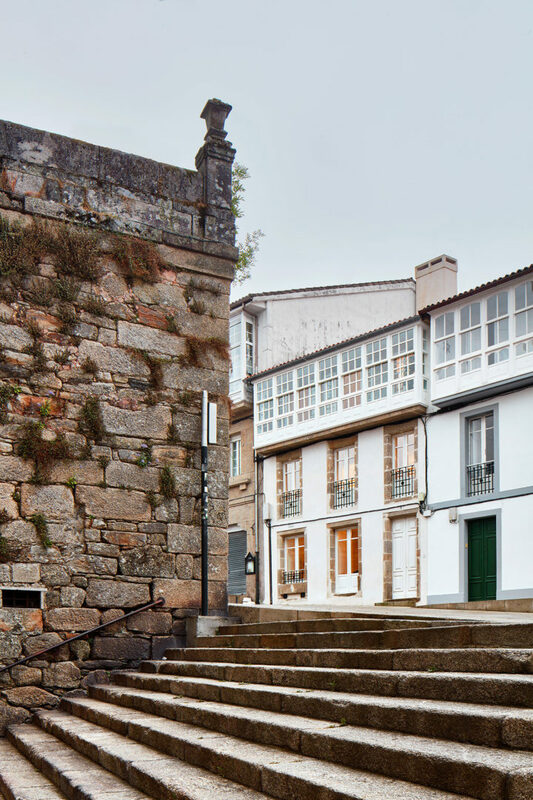 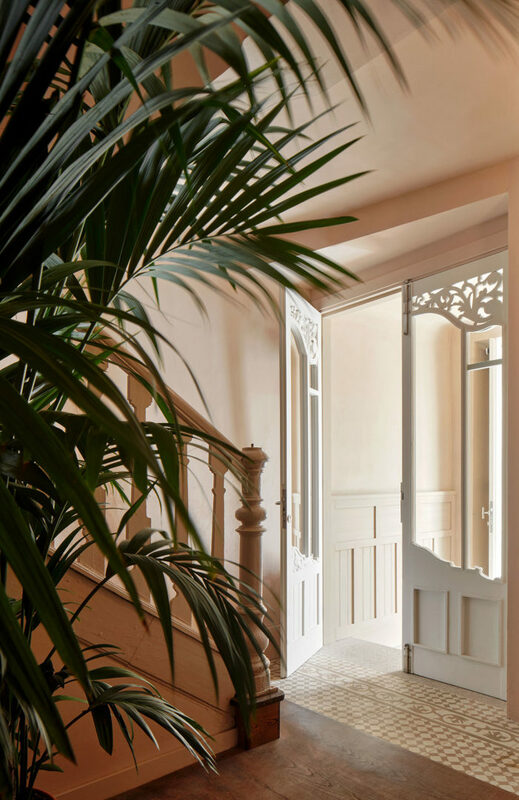 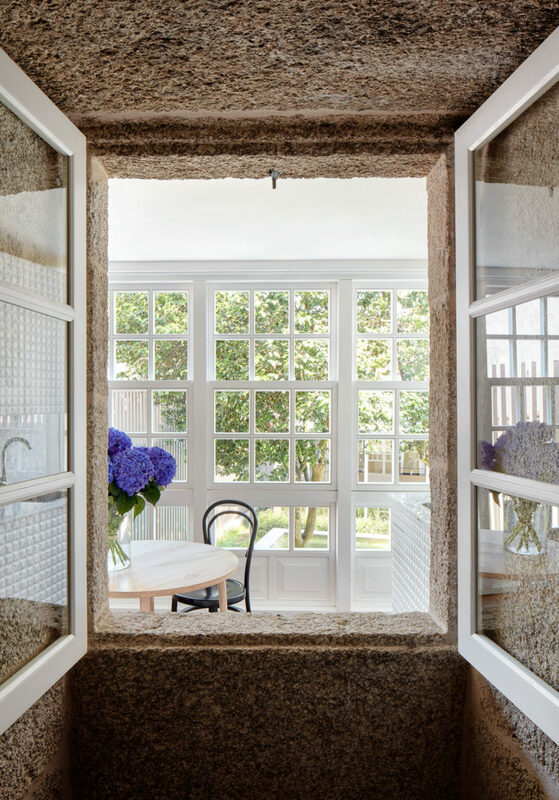 These six tourist apartments are the outcome of the careful renovation of a house dating from 1666 in a street that was formerly called Inferniño de Arriba (today Avenida de Raxoi) near the Plaza del Obradoiro in Santiago de Compostela. 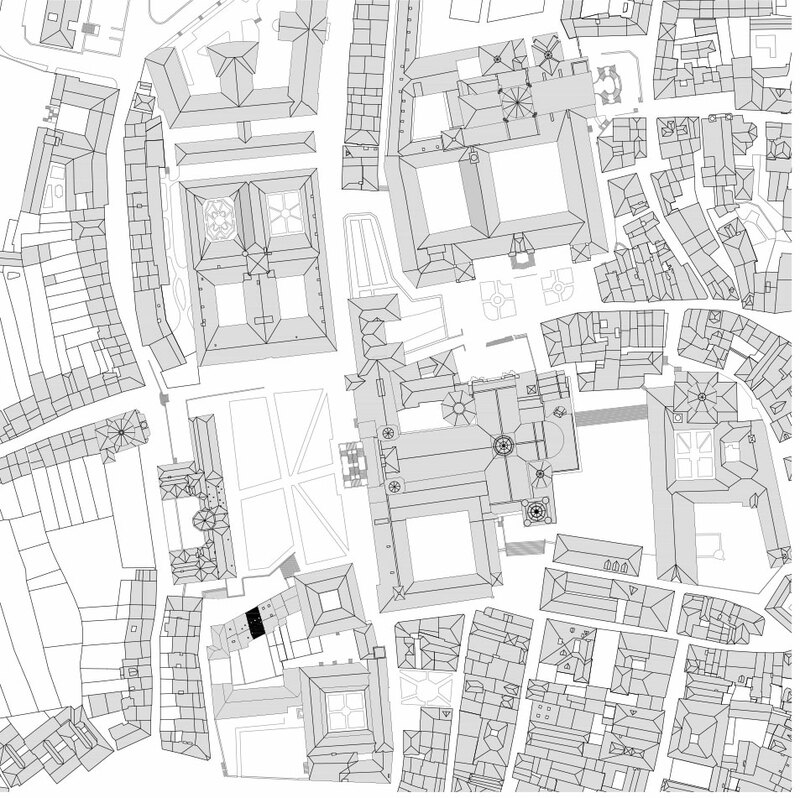 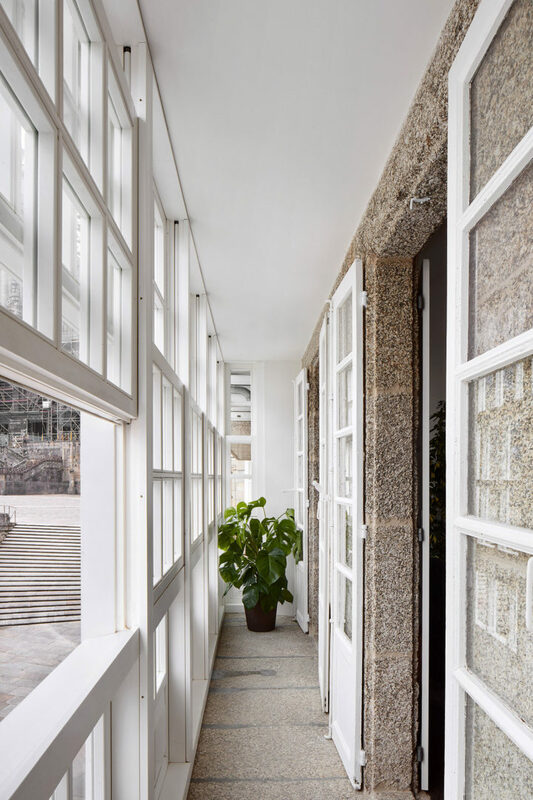 The intervention has been extremely respectful towards the listed features of the building, as well as towards other features that were not listed but which have been considered to be equal in value. 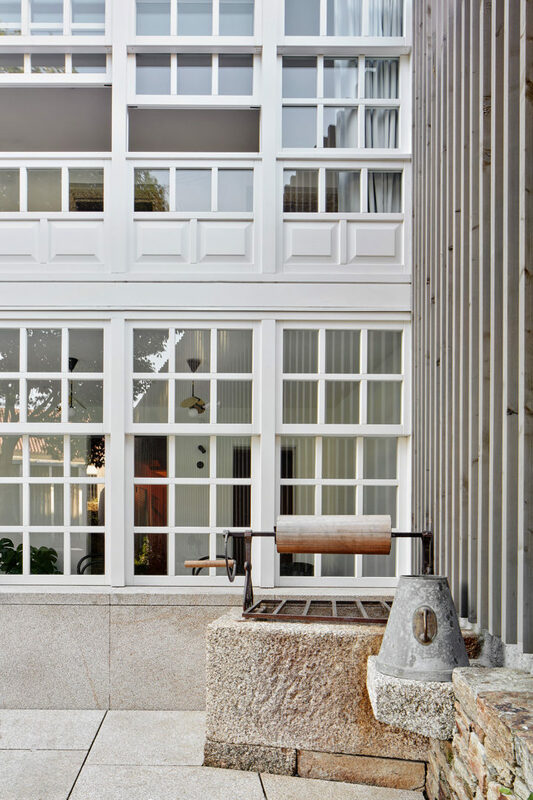 View prior state of the building (February 2015). 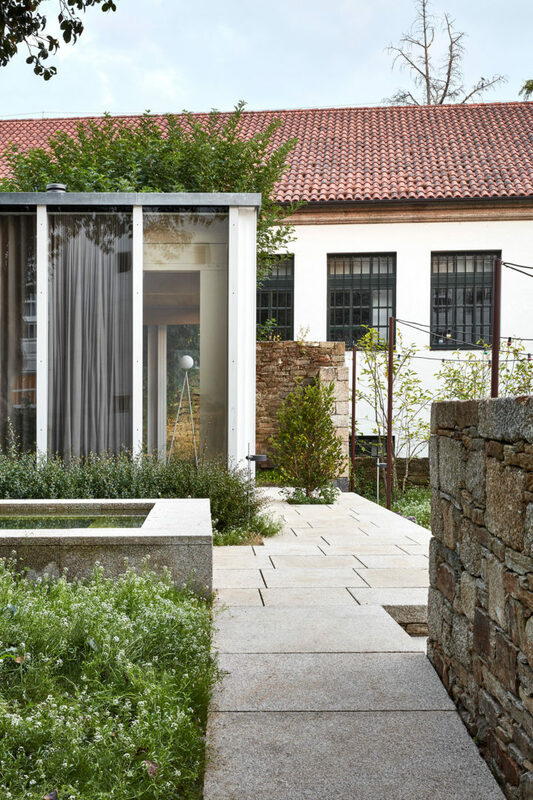 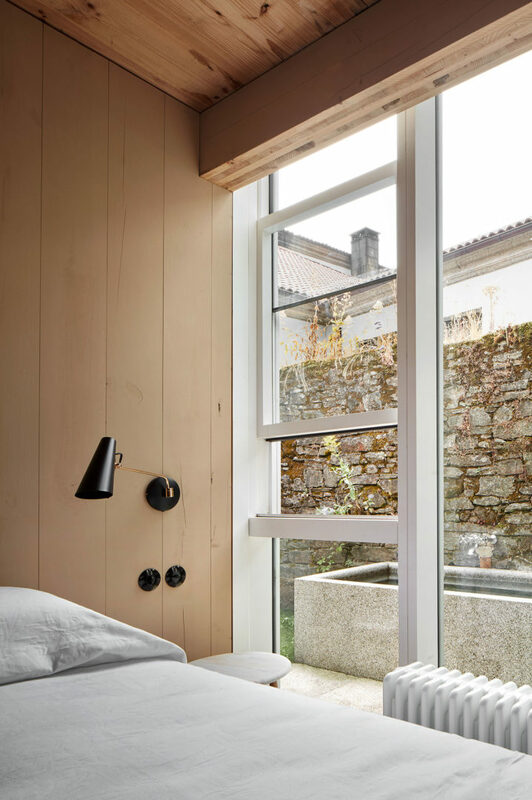 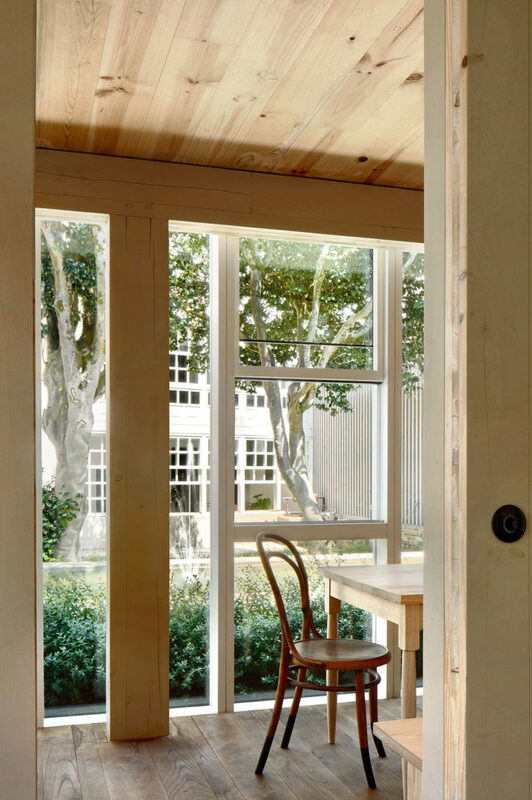 As occurs in much of the historic city center of Santiago, the house has a façade at the back which opens onto a garden with two enormous camellias, and a newly built pavilion of glass and cross-laminated pine from Galicia. 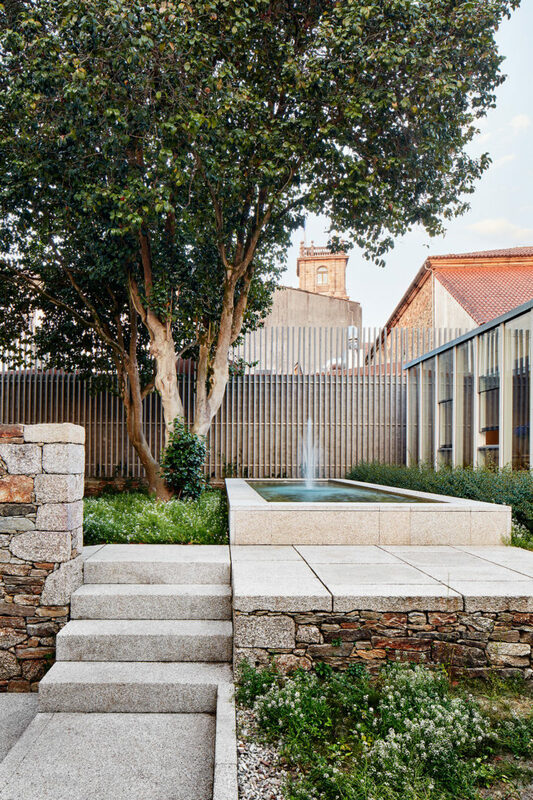 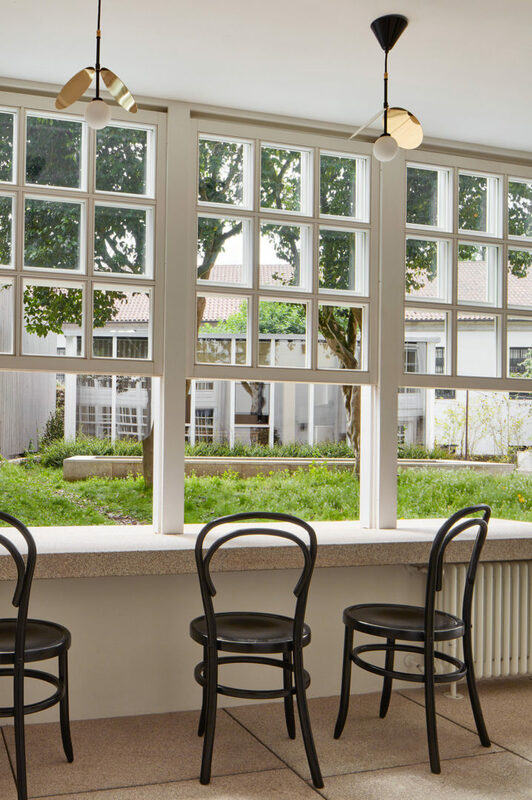 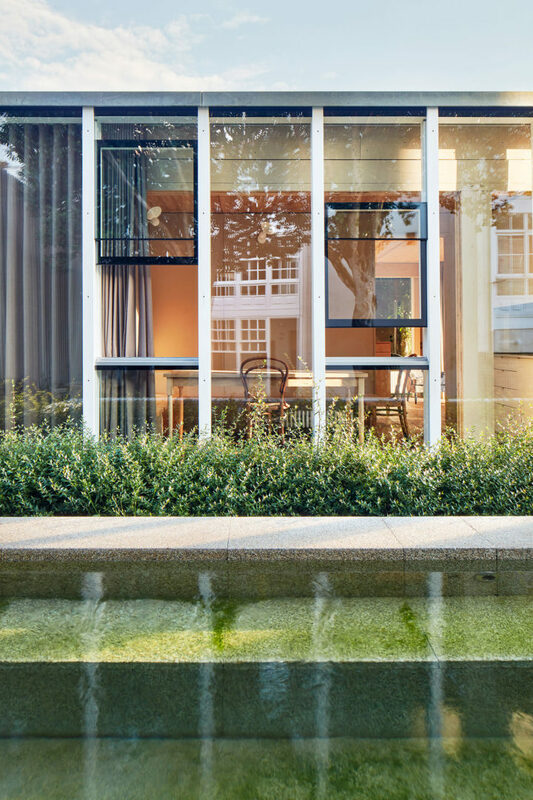 A large granite basin—with water that is heated by evacuated tube solar collectors on the pavilion roof—completes the garden as a communal space for the enjoyment of guests. 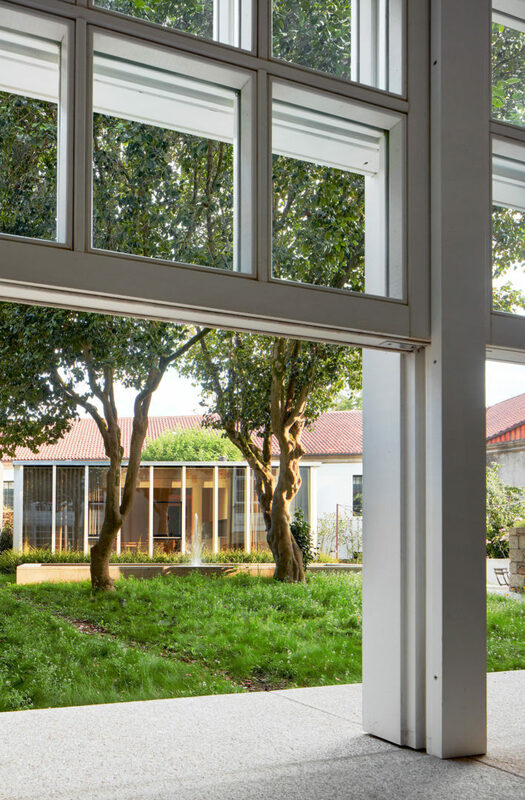 The energy production of the complex is via a biomass boiler in the basement of the house, with direct uploading from the street.